College Student Career Program Registration is closed. Please contact Barbara Jenkins with any questions, bjenkins@uspoultry.org or 770.635.9050. 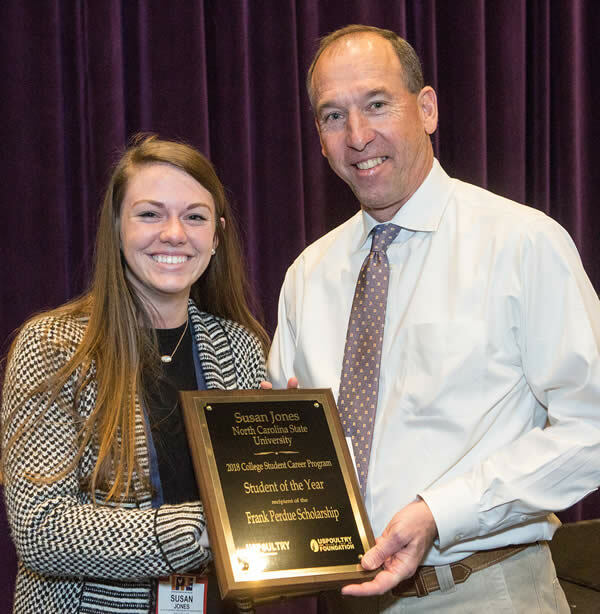 The USPOULTRY Foundation College Student Career Program connects hundreds of talented, bright college students seeking professions in the poultry industry with HR managers and recruiters. It is the most efficient and effective way for the poultry industry to find managers of the future and has been a vital part of many companies' hiring process for nearly 50 years. It is one of the largest career events of its kind for students seeking professions in the industry. Held annually during the International Production & Processing Expo (IPPE), this program allows producer member companies of USPOULTRY and our IPPE partners (NAMI and AFIA) and allied companies to interview top students from many universities at one time, at one location. And such a large number of students offers an extensive variety of majors and qualifications. The three-day program is 100% funded by the USPOULTRY Foundation. Interview sessions will be held Tuesday afternoon, all day Wednesday, and Thursday until noon. In addition to benefiting the industry, the program is an excellent learning opportunity for the students to see the latest technology and advancements in today's production and processing industry. Students graduating between September 1, 2018 and December 31, 2019 will be available to interview. Also, students seeking internships will participate. The program begins in early October with student resume submission (electronically). Companies sign up on line to participate and once the company signs up, they receive the electronic resume database to begin their search for qualified students. Interview sessions are held during the IPPE on Tuesday afternoon, all day Wednesday, and Thursday until noon. University students and advisors receive two complimentary hotel nights (Tuesday and Wednesday) at an Atlanta area hotel, Wednesday breakfast and lunch, and Thursday breakfast. Travel is at the university's expense. Students that require a hotel room must be accompanied by a university advisor/representative. Individual student walk-ups are accepted but their hotel room is not covered. The program is available only to companies in the United States and Canada. Electronic resume database of students planning to interview. A table in the Student Hospitality area to "showcase" your company to the students. Interviewers are encouraged to bring material describing their company. Breakfast and lunch on Wednesday, and coffee and sodas throughout.